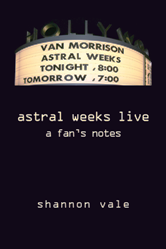 This entry was posted in Music and tagged Ray Manzarek, Roy Rogers, Tupelo Music Hall on August 14, 2011 by shannon. This entry was posted in Music and tagged Tab Benoit, Tupelo Music Hall on March 15, 2011 by shannon. This entry was posted in Music and tagged James Hunter, Tupelo Music Hall on March 3, 2011 by shannon. This entry was posted in Music and tagged Johnny Winter, Tupelo Music Hall on January 23, 2011 by shannon. This entry was posted in Music and tagged Ronnie Earl & The Broadcasters, Tupelo Music Hall on December 12, 2010 by shannon. This entry was posted in Music and tagged John Sebastian, Tupelo Music Hall on November 28, 2010 by shannon. This entry was posted in Music and tagged Jesse Colin Young, Tupelo Music Hall on November 21, 2010 by shannon.